MMOs usually add new classes in an expansion and tweak existing ones. For Final Fantasy XIV (FFXIV), however, adding a new class is more like giving them a comeback since they’re franchise staples that have been present in the older versions. So, which classes are having a “return” in Stormblood? Red Mage and Samurai! Also, the classes currently in the game have been fine tuned. For long-time fans of Final Fantasy (FF), the news of Red Mages being in FFXIV is awesome because the class has been a part of FF since the first game. The Red Mages of Eorzea were “born” from the destruction that went after the War of the Magi. White and Black Mages from Amdapor and Mhach, followed a burning star, which led them to the heights of Gyr Abania. Former archenemies, the two sides have buried their hatred for each other. Instead, the two are focused on perfecting their skill sets, which has led them to create Red Magic. What sets the Red Mage apart from mages of other colors is versatility. While White Mage’s colored magic is all about support, Black Mages focus on offense. The combination provides both healing and buffs while providing a considerable amount of damage. Red Mages can dish out damage by either melee attacks, or from a distance with offensive Red Magic spells. The Red Mage is a true jack-of-all-trades since the first FF. The Red Mage is a DPS, who doesn’t have a base class, but has Intelligence as its primary stats. Besides, Red Mage shares gear with Black Mage and Summoner. 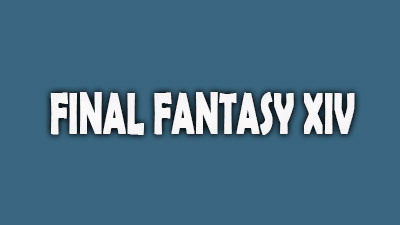 FF’s traditional Japanese-oriented and katana-wielding class (the Samurai) has been a part of the franchise since Final Fantasy V. The job then became available in Final Fantasy X-2, Tactics Advance 2, XI, and XIV. These dominating rulers (the samurai’s) of the blade hail from Higashi, a remote island nation east of Eorzea. Before the land was unified as one, it was divided, with each plot of territory overseen by a powerful noble lord. The samurai were their subjects who fought under their name. Eventually, the warring lands were combined into one, and with the changing of the time meant the changing of the samurai’s purpose. What were once protectors of fields now roam the streets, keeping the city-states at peace. Obviously, the Samurai is a melee DPS class whose techniques are called “Lai.” What separates them from other DPS classes is that the Samurai stores energy in their katana to deal massive amounts of damage, as well as to master the three forces: one, Setsu (Snow), two, Getsu (Moon), and three, Ka (Flower). Similar to the Red Mage, Samurai’s don’t have a base class, and they share gear with Monk. Aside from Stormblood giving players new job classes to choose, the expansion will breath new life on existing classes. The Conjurers and White Mages, for example, rather than requiring Cleric Stance whenever they need to utilize offensive skills, instead, the abilities are based on MND. Also, all jobs have a gauge. In fact, the gauge helps players track job-exclusive buffs and cooldowns, saving time and effort of having to make a mental note. Final Fantasy XIV: Stormblood has blown quite a wind of change all across Eorzea. The game brought along new classes, and innovative ways to approach “old” ones. Are you excited? You should be! The clock is ticking. Final Fantasy is a pioneer in gaming. They’ve been in the game for decades. Yes, I like red and samurai’s. Played this for a good bit. Probably the best MMO I’ve ever played. Granted I wasn’t able to play a lot but man, the music, the graphics. My only issue with it is that you need a lot of freakin time to really enjoy it. 2 hours a day won’t really cut it and you’re better off playing something else if that’s how it is for you. How I wish I still have the time to play this game. PS4 account’s been dormant for quite a while now. Too bad I don’t have the time to play this anymore. Definitely one of the best MMOs out there.